Welcome to Chesapeake Bay Packing! 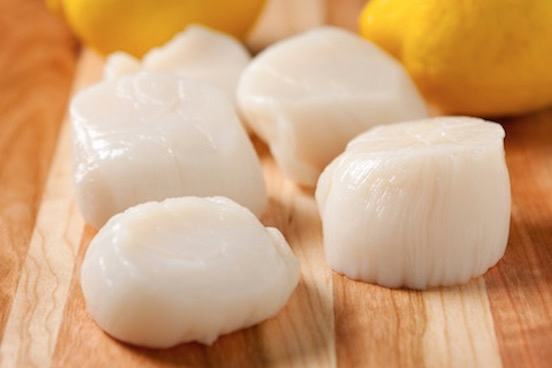 Chesapeake Bay Packing, LLC is a fast-growing processor and packer of high-quality frozen and fresh scallop products for domestic and worldwide distribution. We are the premier processing and packing facility on the East Coast of the United States. Our shore-side processing facilities are located in Newport News, Virginia at the mouth of the Chesapeake Bay. We have direct access to the bountiful Atlantic Ocean fishing grounds. All of our products are produced in conformance with our control methods and reflect Chesapeake’s commitment to the highest standards of food safety, traceability and quality assurance in the industry. If you seek the freshest, highest quality fresh scallop products, Chesapeake Bay Packing is "Your Trusted, Direct Source For Scallops". Chesapeake is proud to introduce Just Caught — the world’s premiere fresh North Atlantic sea scallop. Our modern facilities along with a fleet of independent catcher/processor vessels allow us to offer a comprehensive fresh scallop lineup. Fresh and frozen domestic sea scallops (block frozen and IQF, in a variety of pack sizes), frozen-at-sea scallops, and scallops from around the world; Peru, Argentina, Japan, Chile, China, Vietnam, Philippines, as well as other sources of scallops available in today’s market. We can package using your brand label or you can chose from our line of fresh scallop products available in IQF or block frozen. Ocean Perfect ultra-dry, Chesapeake and Golden Banks natural scallops, Bay Star value-added, or our New Just Caught brand fresh scallops. In addition, our fleet of independent catcher/processor vessels supply our premier frozen-at-sea product. An unsurpassed product that’s frozen within hours of harvest. Try our Delicious Atlantic Individually Quickly Frozen (IQF) Sea Scallops. Try our fresh Just Caught Atlantic Sea Scallops. Chesapeake offers various imported scallops, available year round. Fresh fish available multiple times a year. Our fish are landed directly at our dock in Newport News, VA.
Chesapeake offers various other seafood products to include domestic and imported shrimp and multiple species of fish. Were are packed up and ready for Seafood Expo North America in Boston from March 6th - 8th. Be sure to stop by and see us at booth 1604 during #sena16.